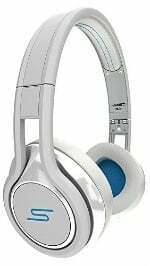 Head to Amazon.com where today only you can score these highly rated SMS Audio Street by 50 Cent Wired On-Ear Headphones for just $39.99 (regularly $179.95) with FREE Super Saver Shipping! You can choose from the following colors: blue, green, orange, pink, red, white and teal. This Amazon best bargain of the day is valid April 26 only and while supplies last.